There are several high-quality courses in and around town. 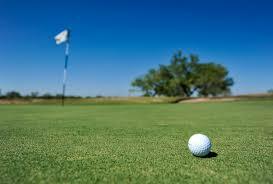 Looking for a player-friendly par 70 golf course? Oso Beach Municipal Golf Course is a tree-lined course with its fair share of bunkers and water hazards to keep play interesting. Reserve your tee time online! Loranzo Golf Center has something for every golfer. The 18-hole regulation course has plenty of water and bunkers for a challenging round. The 9-hole par 30 executive course is perfect for a fun round of a quick 9 so you can move on to your next activity of the day!